The course will teach the clinician on how to choose accordingly rotary or reciprocating files system according to the clinical circumstance. Root canal negotiation and working length utilizing apex locators are the other components the course will cover. Cancellations by the participant within 7 days of the in person or live webinar program will result in a fee of 50% of the tuition cost. No shows will be charged the entire regular tuition price. 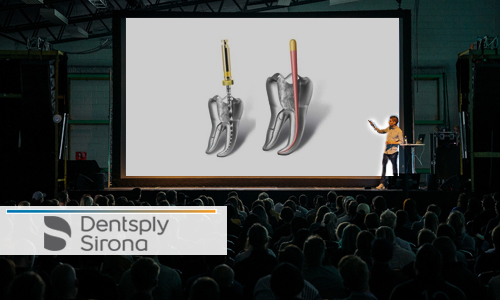 If Dentsply Sirona cancels the program, the participant will be reimbursed the full tuition amount. DENTSPLY INTERNATIONAL is an ADA/CERP recognized provider. ADA CERP is a service of the American Dental Association to assist dental professionals in identifying quality providers of continuing dental education. ADA CERP does not approve or endorse individual courses or instructors, nor does it imply acceptance of credit hours by boards of dentistry. Acceptance period 05/2010 – 06/2014. DENTSPLY is also an AGD approved PACE provider (208218) for FAGD/MAGD Credit. Concerns or complaints about a CE provider may be directed to the provider or to ADA CERP at www.ada.org/goto/cerp. Dr. Erika Vinczer is the Practice owner and Endodontist at Endodontic Solutions. The practice aims to provide a positive customer experience through the core values of commitment to quality, trust, loyalty and ultimate dedication to patients’ needs. Erika’s professional journey started at the age of 15, when she realised that a career path in the dental field was right for her. The ability to use her hands at work, attending to detail and a strong desire to help people in a scientifically based profession inspired her decision to commence undergraduate studies in dentistry. 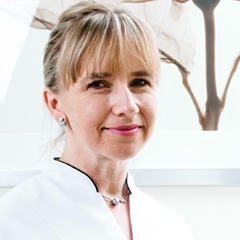 In 1991 Erika graduated from the University of Adelaide with a Bachelor of Dental Surgery (BDS) and Bachelor of Science in Dentistry (Honours- Physiology) (BScDent-Hons) and thereupon commenced her career. Her extensive career history has been significant in shaping her skill set, values and personality. Erika was appointed as an Army Dental Officer, serving in the military for 16 years, before venturing out on her own. She has worked and lived in Victoria, Brisbane, Sydney and various regional areas of Australia, as well as overseas, in the Solomon Islands. During that time her clinical experience was further enhanced by working in private practice.